Spotlight on Service: Management Assistant Daniel G.
Spotlight on Service: Rental Agent Dwight D.
Spotlight on Service is a recurring feature in which employees share how they create positive customer interactions. 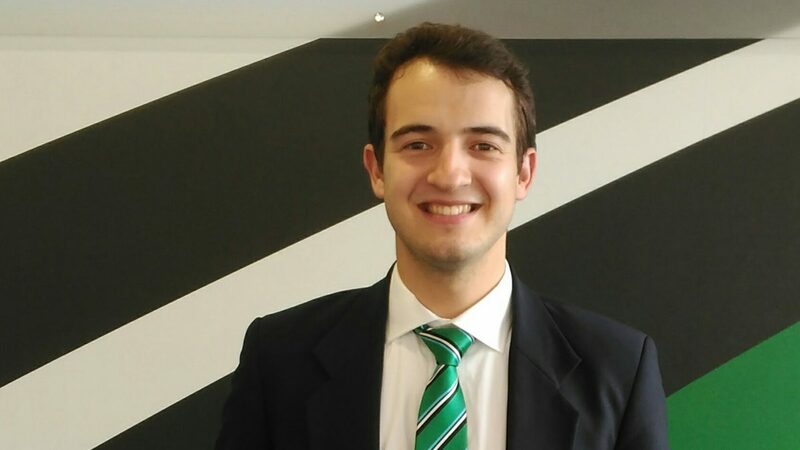 In this segment, we spoke to Management Assistant Daniel G. who manages an Enterprise branch in Santiago de Compostela, Spain. Bryan Miller, music critic for the “St. Louis Post-Dispatch,” wrote an email to Enterprise to express her appreciation for Daniel, who went above and beyond the call of duty during a recent rental experience. Q: Tell me about the customer and her situation. A: Two ladies arrived at the branch on a very rainy afternoon in Santiago de Compostela. They were traveling from Oviedo, Spain where they toured with the St. Louis Symphony Orchestra. They came to visit the famous ancient pilgrimage site before their return to the U.S. When they asked me if I could call them a taxi to get to their hotel, I offered to take them back myself. The hotel was next to the cathedral in the old part of the town – an area where most roads are very narrow and for pedestrian traffic only. It was raining heavily and I knew I needed to get the customers as close as I could to the hotel. On top of navigating the tight streets, I had only recently moved to Santiago and was unfamiliar with the area. But I focused on staying positive. In the end, I found the hotel and dropped off the customers just a few meters from the entrance. Q: What is your reaction to the compliment you received? A: The circumstances – torrential rain and being new to the area – made for a less than ideal situation. But no matter what situation I find myself in, I try to stay upbeat and positive and really listen to the customers’ needs. I appreciate the positive feedback, and I’m happy I could make an impact. I genuinely just wanted to be helpful. I’m humbled I was able to play a small role in making their holiday even better. Q: What is your approach to customer service? A: I am a customer myself most of the time, and I most appreciate when people try to make my experience better by paying attention to the details. Every day I strive to create positive experiences by being a friendly face willing to listen to each customer’s unique needs. I also try to make sure our customers have a completely superior experience renting a car from Enterprise versus other local companies. I truly embrace the fact that customer service is our way of life. Q: What is your background with Enterprise? A: I began my career in the U.K. in January 2016 as a Management Trainee. I first started at Heathrow Airport, the busiest location in Europe. In early 2017 I moved to Spain and put into practice the knowledge I gained over the course of the past year. It was a huge opportunity to get to know the business in-depth in London – where Enterprise is growing at an extremely rapid pace. I was able to learn first-hand how a profitable branch operates and how customer service drives our business.